Borage: companion plant for tomatoes, strawberries, and squash. Companion planting is based on the idea that, like people, some plants do better with good neighbors. For tomatoes, strawberries and squash, one of the most popular of companion plants is borage (Borago officinalis). As a seedling, borage doesn’t reveal its potential. The leaves are rough and fat, and as they get older, covered in fur. Only when the blue star-shaped flowers appear in spring-summer does borage, also known as starflower, shows its potential: Bees and pest-killing wasps love the blooms. 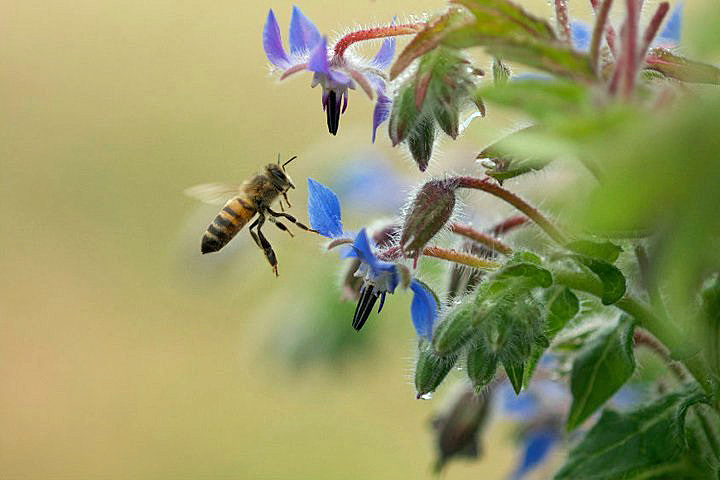 Borage is more than an easy-growing ornamental that brings in pollinators and pest predators. 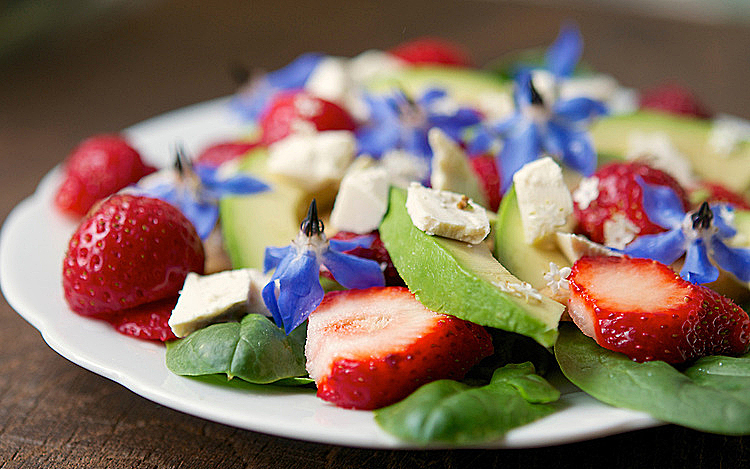 The younger leaves and flowers can be used in salads. The flowers are particularly tasty added to ice water or tea, used fresh or frozen into ice cubes. 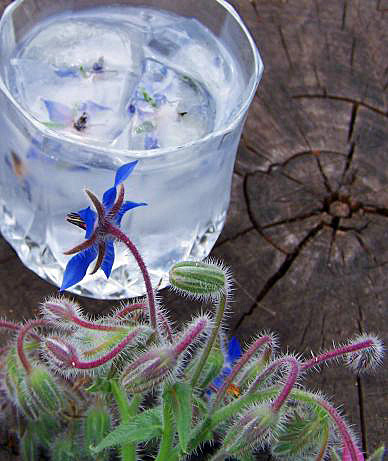 The flower and leaves have a slight cucumber taste, but with a splash of honey (though it’s worth noting that pregnant and nursing women are advised not to consume borage). Borage flowers can be used as decorations on pastries or desserts. 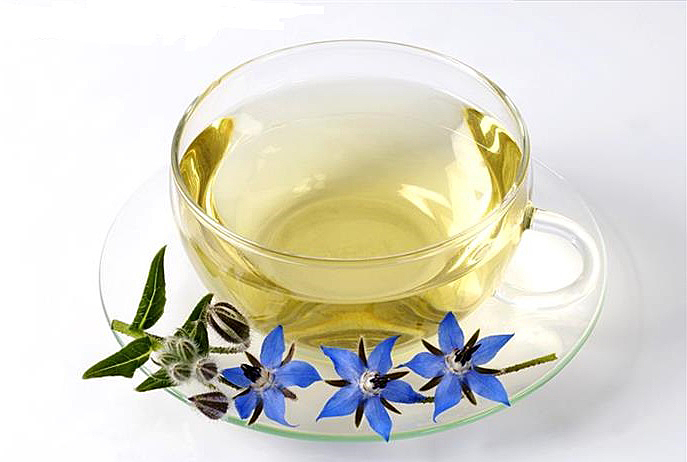 A tea of borage is considered a mood enhancer, leading to its reputation as a sedative. Plant borage next to your tomatoes to bring in the bees, which repel the tomato hornworms and cabbage moths. As a bonus, when the leaves get old and droopy later in the season, they make a good mulch and cool the soil. Although borage is a tonic for its neighboring plants, the scratchy older leaves can be irritating for the gardener. Plant borage on the edges of the garden or vegetable bed, where it won’t get in the way. 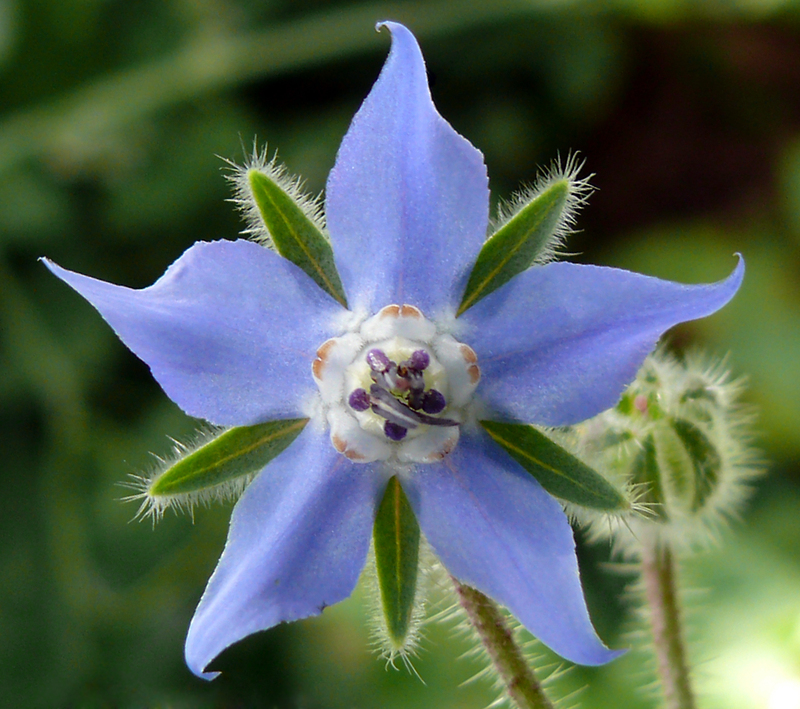 Borage grows easily from seed or as a transplant bought from a nursery. Seeds and seedlings are readily available, but check the bottom of potted plants to make sure no roots are coming out. Select the smallest healthy specimen you can find. Borage will also reseed itself throughout the garden with enthusiasm. It’s easy to identify when small; just remove it from unwanted areas and replant where you want it. Borage likes a well-draining soil and can handle sun or shade as long as the ground is kept moist.